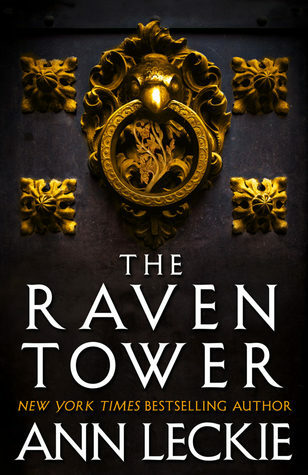 The Raven Tower is bound to be one of the most phenomenal fantasy novels of 2019. If you’re not familiar with Ann Leckie’s work, her science fiction series (starting with Ancillary Justice) swept the award season when it debuted. WIth The Raven Tower, she turns her hand to fantasy, and the result is wonderful. I feel like this book would appeal to fans of N.K. Jemisin… but if you’ve read Jemisin, you’ve likely already read Leckie! Regardless, this is a novel you need to pick up. Gods interfere directly in the lives of humans, making agreements with other gods and protecting their favored peoples. For instance, the Raven god has protected the kingdom of Iraden for centuries, choosing the leader, the Raven’s Lease, who will occupy the most powerful position in the kingdom… in return for sacrificing their life to the Raven at the end of their tenure. Eolo, farmer turned soldier, accompanies the Raven’s Lease’s heir, Mawat, home to take over his father’s role. But when they arrive at the capital city of Vastai, they find that Mawat’s uncle has already stepped into the role of the Raven’s Lease and that Mawat’s father is nowhere to be found. What happened to Mawat’s father? Did he run from the sacrifice, as Mawat’s Uncle claims? And if he’s still alive, then what retribution will the Raven require? And why did the Raven allow this to happen anyway? With growing skirmishes along the border and an unprecedented crisis of succession, Iraden is in peril. I adore the narrative voice of The Raven Tower. The very beginning opens in the second person, addressed to Eolo. But it’s clear that someone specific is speaking, and right away you can guess that the narrator is a god. Segments of the book are told in the first person, recounting the narrator’s history which stretches back to before life on land. Any book with two such different narrative strands runs a risk of having one be more compelling than the other, but I never found myself rushing to get through either section. Both are compelling in their own right, and the mystery of how they connect (and the narrator’s identity) drives the story forward. Basically, this is the best use of second person that I’ve encountered since N.K. Jemisin’s The Fifth Season. The world building is awesome, of course. In this world, gods are powerful but not limitless. Whatever a god says is true — and if it wasn’t true before the god said it, the god’s own power goes into making it true. If a god says something that requires too much power to make true, then the god dies. So our narrator speaks very carefully throughout the story, telling us things like, “this is something I once heard” or saying things such as “Eolo probably felt this.” It means that we are never fully inside Eolo’s head, but you grow so close to him that it’s easy to forget we’re getting an outside perspective! Eolo reminds me a bit of Cazaril in Lois McMaster Bujold’s The Curse of Chalion — an outsider of low birth who nonetheless becomes wrapped up in the affairs of the court. He’s smart and cautious, and there’s a reason why he’s risen to become Mawat’s righthand man. Also, he’s transmasculine and bisexual/pansexual, usually attracted more to women than men. At the time of writing this (early January, I do these reviews in advance), I haven’t yet seen any reviews from trans readers, but I don’t recall Eolo ever being misgendered. The Raven Tower is one of those books where I’m afraid to say too much least I give the game away! Just know that I adore this book and that I’m sure it will get some nods come award season. I received an ARC in exchange for a free and honest review. When Sarah says it has awesome world building, I know I need to read the book. Fair enough. Second person can be tough. I’m looking forward to this so much! Oh boy! I haven’t read anything by Ann Leckie yet because her SF books sounded a scootch daunting to me, but I have been wanting hop aboard the Ann Leckie hype train. I think The Raven Tower will be how I do it at last! It sounds good! I love narrative experimentation! I think you’ll love The Raven Tower!